Brisket being judged at the students' final exam. Barbecue is a cuisine deeply rooted in tradition, with many pitmasters and chefs doing very little to change the recipes handed down to them for generations. Kit Parker, for one, never understood that, though. The Harvard engineering professor was eating barbecue one day when he realized that science could be applied to this tradition to improve it in respectful ways. So Parker got to work developing a challenge for his class’ semester-long project: to build a smoker that can produce perfect brisket every time. He collaborated with Williams-Sonoma to add a commercial element to the project, plus the brand provided design specifications and as much brisket as the class needed (which came in handy as right when the project started, the world brisket shortage was announced). 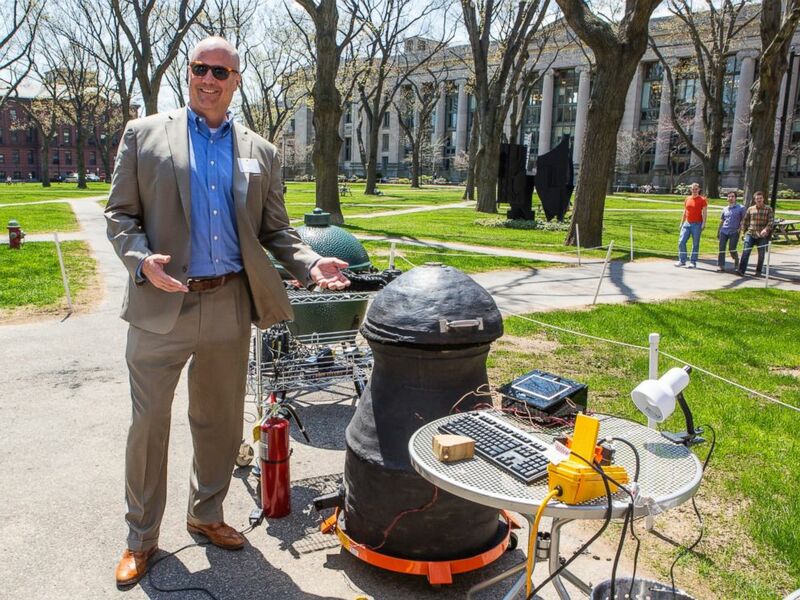 The students started by learning how to smoke and studying the patents of the big green egg, a popular home barbecue. The class focused on beef brisket specifically because of its challenges. Parker, who was previously in the military, brought in guest lecturers to talk about various elements of smoking – everyone from pitmasters to CEOs of technology companies. 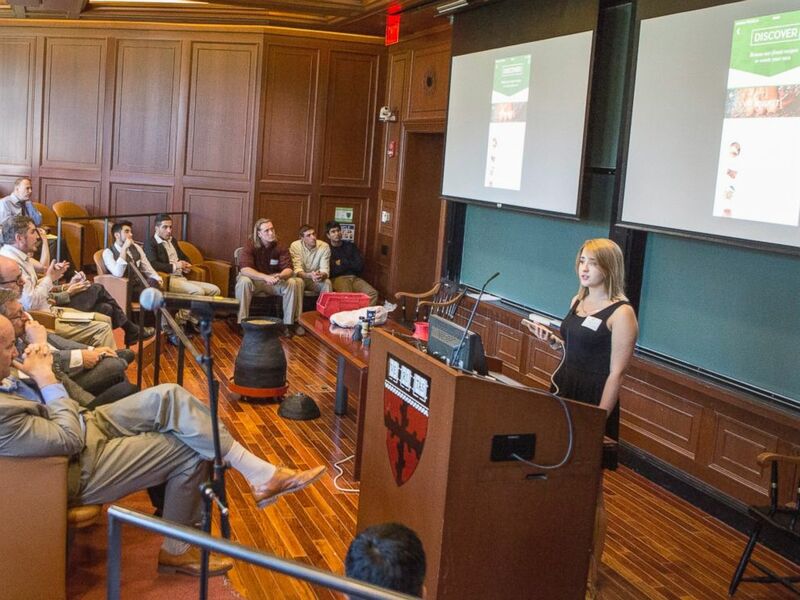 Guest lecturers from technology company CEOs to barbecue pitmasters spoke throughout the semester. 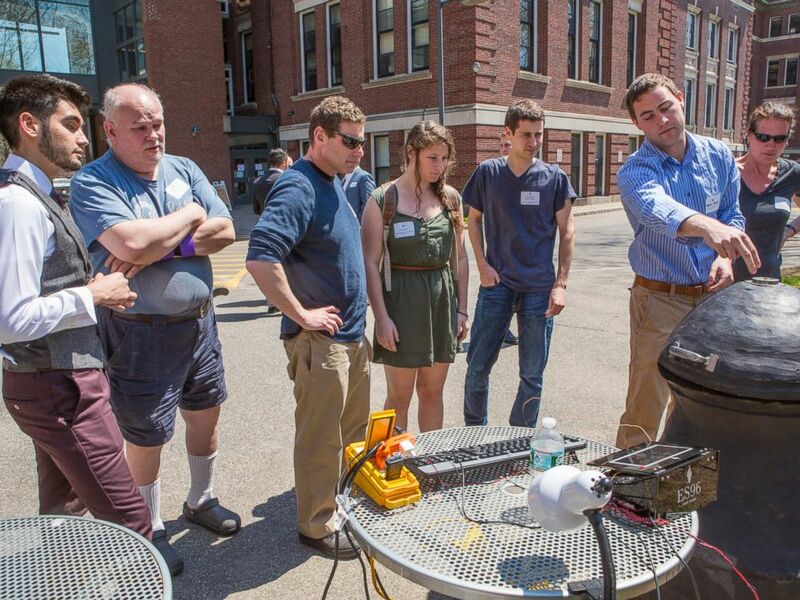 The class even went to the Harvard ceramics center to learn how to play with clay and build the 20-pound smoker. Finally, it was time to test the smoker. So that’s exactly what the students did. The app, completely accessible on your phone, manages fans inside the smoker to control air flow, connects to social media so you and friends can see the progress of the brisket and monitors temperature inside. Harvard professor Kit Parker devised an engineering product to apply science to the art of smoking meat. And Parker would know. In order to be able to grade the final outcome, Parker and his teaching fellow Peyton Nesmith got certified as barbecue judges from the Kansas City Barbecue League. Parker and Nesmith judged the brisket on texture, appearance and taste – the last criteria of which is the most subjective. On the day of the final exam, Parker and his class smoked their final briskets and threw a big party after. Out of a possible highest score of nine, Parker gave his students a nine. Students show off their custom meat smoker. The hard work paid off, though – according to Parker, Williams-Sonoma is thinking about starting a product line. “We’re working with Williams-Sonoma to get his thing on the market. I think we got the right thing and now it’s time to commercialize it,” he said.